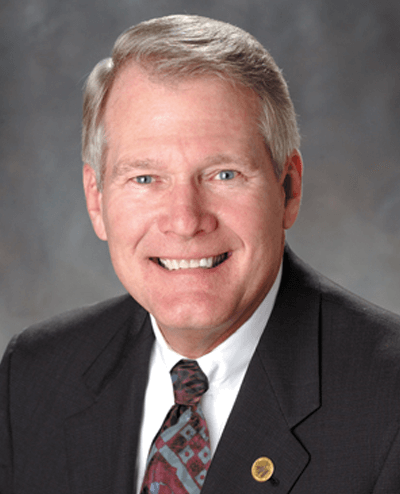 Randy Berridge held the position of president of the Florida High Tech Corridor Council since its formation in 1996. Berridge now serves continues in an advisory and planning support role as president emeritus of The Corridor. He is also president of the Berridge Consulting Group Inc. Previously, Berridge held several positions with AT&T Corporation including chair of the Central Florida AT&T Management Council; district manager of public relations for the Florida division; manager of legal and divestiture planning; and coordinating supervisor of budgets, forecasts, planning, human resources and telephone manufacturing. Berridge currently serves on the Florida Inventors Hall of Fame Selection Committee and is an emeritus board member of the Astronauts Memorial Foundation. He has previously served on the boards of the Enterprise Florida Stakeholder Council, Florida Chamber Foundation, Leadership Florida, Florida Research Consortium, Southern Association of Colleges and Schools Commission on Colleges (SACSCOC), the Foundation for Florida’s State Colleges, Kids House of Seminole County, National Center for Simulation, Metro Orlando Military Affairs Commission, National Entrepreneur Center, Career Source Florida, Orlando Economic Partnership, Tampa Bay Partnership, Tampa Bay Technology Forum, University of Central Florida Foundation, University of Florida Center for NanoBio Sensors, the University of South Florida Tampa Bay Tech Incubator, and the University of Central Florida’s Incubator Network.